Lawmakers in the House plan to introduce legislation today that would require Chinese government-funded Confucius Institutes operating on American university campuses to register as foreign agents. The bill, called the "Countering the Chinese Government and Communist Party’s Political Influence Operations Act of 2018" also would require American intelligence agencies to provide a detailed report on Beijing's extensive covert and overt influence operations. The bill is being sponsored by Rep. Chris Smith (R., N.J.) and Rep. Marcy Kaptur (D., Ohio), both members of the House Foreign Affairs Committee. It will be introduced Monday coinciding with the 29th anniversary of the Chinese military's bloody crackdown on unarmed pro-democracy protesters in Beijing's Tiananmen Square. A congressional aide familiar with the bill said the measure would supplement concerns expressed about Chinese influence operations contained in the fiscal 2019 defense authorization bill. "This legislation and the NDAA language demonstrate the growing resolve to better understand and counter the Chinese government’s political influence operations in the U.S. and outside," the aide said. The defense bill will require what is expected to be a classified briefing to Congress on Chinese malign activities. The Smith-Katur bill would require a public, interagency report to Congress outlining the extent and focus of what U.S. officials have said are aggressive Chinese influence operations designed to promote Beijing's policy and political narratives. A key element will be requiring Confucius Institutes—identified by the FBI as cover for Chinese intelligence and influence operations—to register under the Foreign Agents' Registration Act. The bill also will seek to provide sense of Congress resolutions that would call for greater law-enforcement and intelligence protection of Chinese-Americans and visiting Chinese students and faculty that have been targeted for harassment and coercion by the Chinese government. Sen. Marco Rubio (R., Fla.) could sponsor similar legislation in the Senate, a congressional aide said. Rubio is among the more outspoken critics of aggressive Chinese activities. The senator said in a recent Senate floor speech that China is a major threat that seeks to displace the United States, the world's leading democratic nation, with a communist system. "One of the reasons why democracy is spread across the planet is because the world's most powerful country was a democracy," Rubio said. "We cannot allow an autocratic dictatorship to dominate the global economy and global technology by stealing from us at the expense of the democratic order in the world," he said. "Democracies are morally superior to dictatorships, and if we allow China to cheat and steal their way into dominance, there will be more dictatorships and less democracies on this planet, and we will all pay a price for that." Also, in the Senate, Sen. Ted Cruz (R., Texas) introduced legislation May 22 that seeks greater U.S. government efforts to thwart Chinese espionage on American universities. Cruz recently spearheaded efforts against Chinese funding for a center at the University of Texas at Austin that was to be supplied by the China-U.S. Exchange Foundation, a Beijing government entity. "Communist China is infiltrating American universities to meddle with our curricula, silence criticism of their regime, and steal intellectual property including sensitive dual-use research," Cruz said in a statement. "The Confucius Institutes are the velvet glove around the iron fist of their campaigns on our campuses," he added. "The American government needs new tools to protect the integrity of our universities and research, and to block academic espionage." The Cruz bill is called the Stop Higher Education Espionage and Theft Act of 2018 and seeks to provide law enforcement and counterintelligence agencies with better tools to counter Chinese and other foreign states' influence activities. The House bill defines political influence operations as "efforts to coerce and corrupt United States interests, institutions, or individuals and foster in the United States attitudes, behavior, decisions, or outcomes favorable to the Chinese government or Communist Party through coordinated and often concealed application of disinformation, press manipulation, economic coercion, targeted investments, corruption, or academic censorship." The legislation states that China is using a wide range of political, informational, and economic measures to influence, coerce, and undermine U.S. interests. The White House in December issued its National Security Strategy that warned China is using economic measures and penalties, influence operations, and veiled military threats to force other nations to submit to its political and security agenda. Also, China's influence activities have been given less attention than those of the Russians that are also engaged in aggressive influence operations as seen in the 2016 election meddling. China's active measures and disinformation are a grave threat because of Beijing's economic power and its growing network of influencers seeking to promote the communist model of government and development. 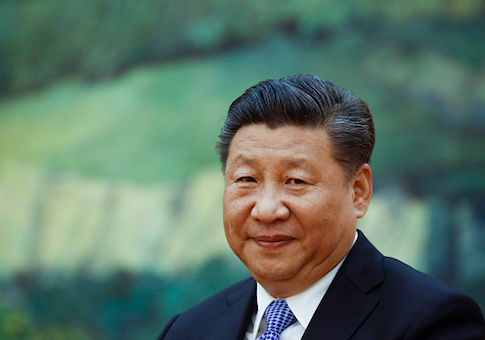 "The Chinese government and Communist Party use both overt and covert means to target the political and economic elite, the media and public opinion, civil society and academia, and members of the Chinese diaspora," the draft bill says. "The Chinese government and Communist Party employ an array of government entities, friendship and exchange organizations, and government funded foundations, think-tanks, educational, and other projects to carry out political influence operations, often called ‘united front work,'" the bill states. The focus on Confucius Institutes in the bill included a provision that would require the institutions, and any other Chinese government-funded academic programs and non-governmental organizations to register as foreign agents. FBI Director Christopher Wray revealed to Congress in February that the FBI is investigating numerous Confucius Institutes around the country amid concerns the institutes are being used for covert spying and influence activities. More than 100 of the institutes are operating in the United States and scores more have been set up overseas. China insists the institutes are benign and aimed at promoting Chinese language and culture. Wray, however, said the institutes have been under FBI counterintelligence surveillance. "We do share concerns about the Confucius Institutes. We’ve been watching that development for a while," he said. "I would just say that the use of nontraditional collectors, especially in the academic setting, whether it’s professors, scientists, students, we see in almost every field office that the FBI has around the country," Wray said. "It’s not just in major cities; it’s in small ones, as well. It’s across basically every discipline." Wray said many in the academic community have failed to recognize the threat and he noted that the Chinese have been exploiting America's very open research and development environment. "One of the things we’re trying to do is view the China threat—it’s not just a whole-of-government threat, but a whole-of-society threat on their end, and I think it’s going to take a whole-of-society response by us," Wray said. The House bill also recognizes that China's government and party are exploiting America's open and democratic system, including constitutional protections for free speech and a free press to spread its model of government. The bill calls for declaring that U.S. policy will clearly differentiate between the Chinese people and culture and the ruling Chinese government and Communist Party system. Also, the bill will call for developing a long-term strategy to counter Chinese political influence operations, censorship, propaganda, and disinformation targeting American democratic institutions, U.S. citizens. Additionally, the legislation would call for greater transparency concerning collaboration between American and Chinese actors in media agencies, universities, think tanks, and government officials with the goal of raising awareness of Chinese influence operations goals and methods. Congress also wants the Trump administration to develop more tools that can screen investments by the Chinese government that would prevent the takeover of American firms by state-owned Chinese businesses. Other House bill sponsors include Republicans Mark Meadows, of North Carolina, Scott Perry of Pennsylvania, Randy Hultgren of Illinois, and Robert Pittenger of North Carolina.